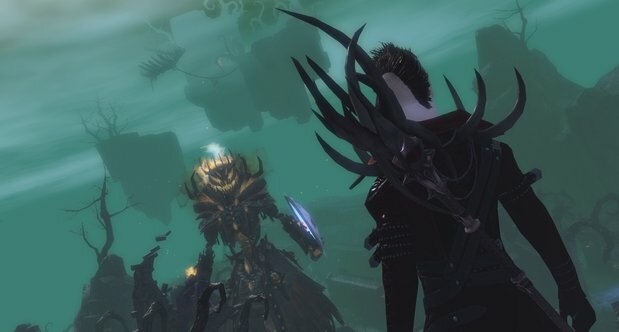 When the bell tolls in Tyria, that normally means the Mad King Thorn is about to make his annual visit to Guild Wars 2. But unlike last year, the insane monarch isn’t making the trip. This year, players will be haunted by his equally-unpleasant offspring named Bloody Prince Edrick, as part of the Blood and Madness update. The Blood and Madness update will see the return of the Mad King’s Labyrinth, filled with undead creatures controlled by the Bloody Prince. New bosses will include the Skeletal Lich, the Grand High Viscount of Candy Corn (who’s attitude is as bad as his taste), and the Labyrinthine Horror. The Mad King’s Clocktower will also return from last year, bringing its popular jumping puzzles along with it. On top of the normal balance updates, this update will also kick off Guild Wars 2′s inaugural World versus World season, in which the regions are split into leagues to compete against one another until December 5.